A series of tweets suggests the release wasn’t planned. BbyMutha shared "PLAYTIME" on Twitter today. She followed the song's tweet with a note suggesting its release wasn't planned, writing "shouldn’t have to release my own music as a form of protest but here we go lol." Earlier this morning, she told a fan that her forthcoming album's status is unclear because of seemingly similar issues. "i’m currently in a situation where i feel low key played by some people who i thought were trying to help me," she wrote. "So now idk when i’ll be releasing the album." The situation still isn't clear, but fans are tweeting support to her regardless. Listen to "PLAYTIME" below. 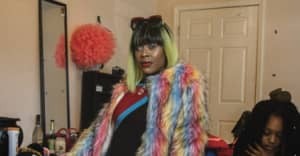 Read The FADER's interview with BbyMutha here.